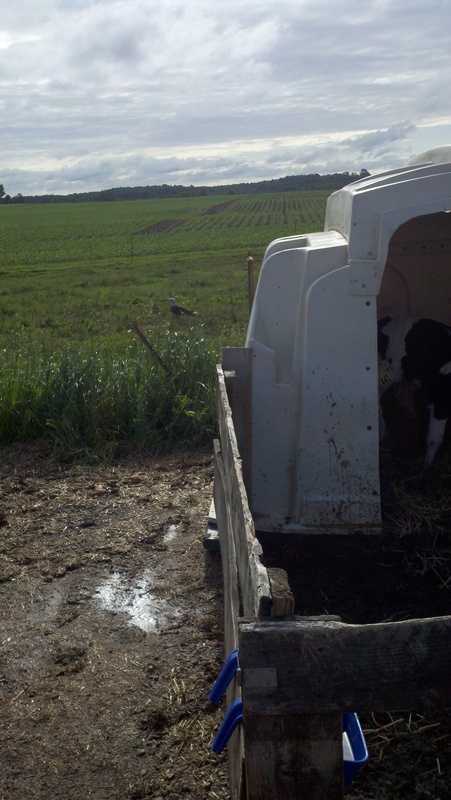 A bald eagle landed in the pre-fresh pasture when I was working with some calves. Hard to tell in this cell phone picture, but I am only about 30 feet away from him. He looked at me for a second before taking off again. Probably looking for some cow cleanings. We had a premature calf. 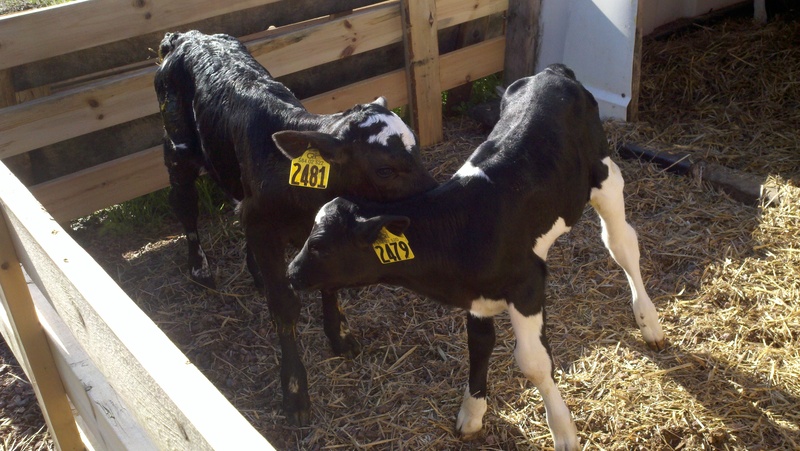 2479 is actually almost a week old in this picture, while 2481 is about 1 day old, and still quite a bit bigger! 2479 is quite vigorous and doing well though! 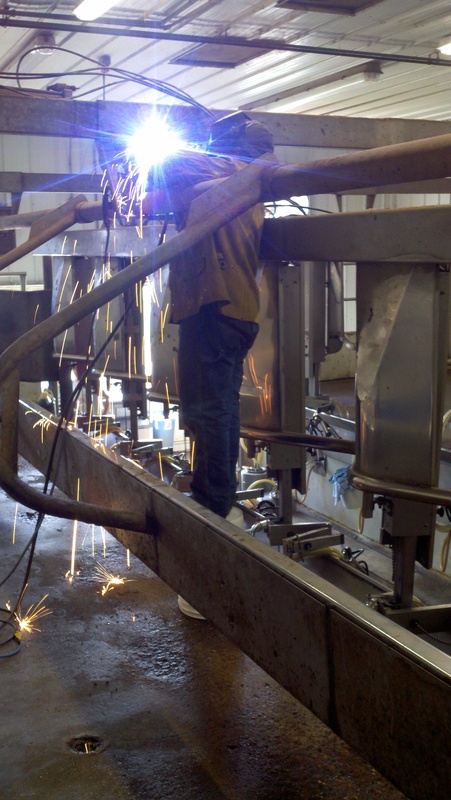 Del welding in the parlor. A support that holds the brisket bar broke. 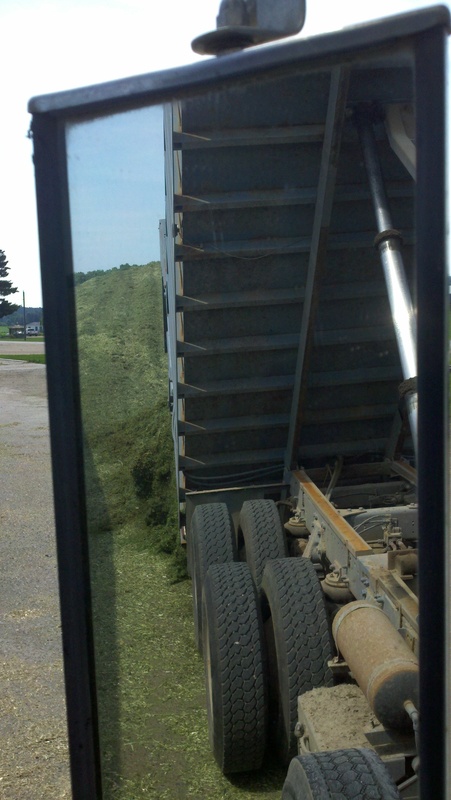 The view from my mirror as a dump another load of haylage in the bunker. We started 2nd crop hay yesterday…guess i need to finish part 2 of making hay! Becky and I were able to sneak away last weekend and enjoyed a much-needed 4 days off relaxing in Wisconsin Dells, but back to the grindstone on Wednesday. This entry was posted in Animals, General Information, Off Topic. Bookmark the permalink. Great pictures as usual Will! And the Eagle is clearly visible, very cool!